The ruins of Enniscrone Castle lie in an elevated position to the north east of the town in the open space area known as Castle Field. 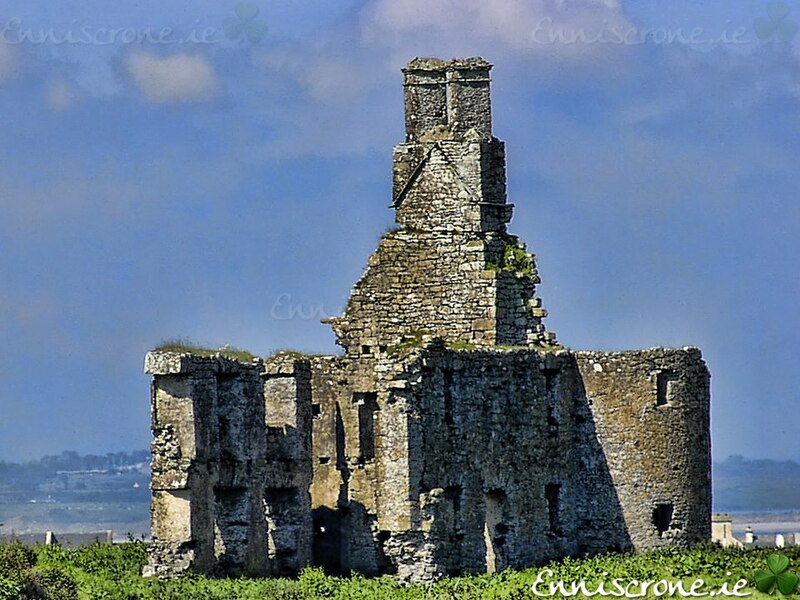 Enniscrone Castle, also known as Nolan’s Castle, is an example of an early 17th century semi-fortified house. This was built mainly for reasons relating to comfortable living standards, rather than for defence purposes. The western towers survive intact, but two other towers have been destroyed since the last century. It is located on a raised level platform on top of a small ridge. It is an example of a 17th century plantation castle. It reflects widespread changes in the 17th century as a result of the policy of plantation adopted by the English crown in an attempt to create a Protestant and more English society in Ireland. These types of houses were the homes of the English and Scottish settlers who came to Ireland and villages often grew up around these settlements.